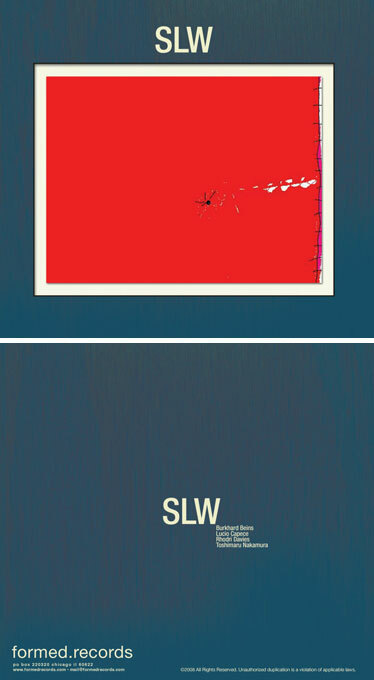 Following on the critically lauded IJ, Formed is pleased to announce SLW, a quartet featuring Burkhard Beins, Lucio Capece, Rhodri Davies, and Toshimaru Nakamura. The album captures these improvisors at their finest, blending their unique approaches to improvisation into a dynamic field. The great creative range of these performers gives the single improvisation an episodic feel, with layers of interaction and frames of sound moving around each other.